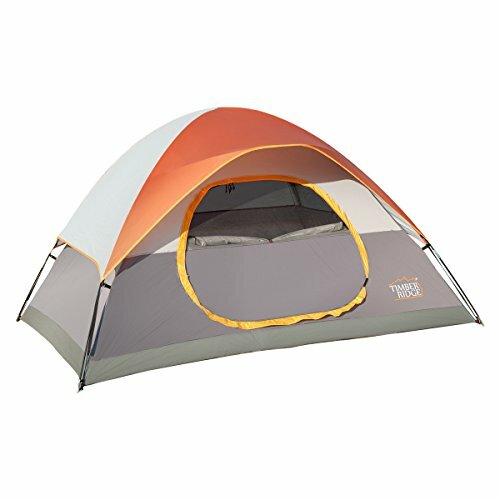 The Timberridge WF9758RU lightweight 3-season tent is a great choice for families and groups. The mash body is perfect for ventilation and bug free environment. Hooped polyester fly provides extreme weather protection(except waterproof). One gear loft and two mesh pockets are convenient for storing daily things. High strength fiberglass frame with pole pockets makes sure for easy setup and stability, which surely makes any camping trip a better experience. Fixing hooks are very convenient. Moreover, it comes with its own carry bag which is convenient to carry and store.